Somewhere between Phish, the Grateful Dead, and Willy Nelson lies the strange land of the Dayfly 4. Primarily a "jam band," the Dayfly 4 were an outcropping of the group "Saladmander." I think you'll have to wait until a track shows up in the FREE SONG page to truly get an understanding of the sound! 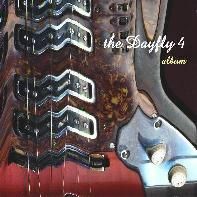 The Dayfly 4 CD is currently out of print.